Most SEO experts suggest using at least one photo in every blog post. From an aesthetic perspective, it’s a good idea, especially when the photo has something to do with the content. Photos and images are especially important for storytelling. Remember that “A picture is worth a thousand words” adage? I always thought everyone knew that copying and pasting photos, images, or any content found on the internet was a definite no-no given that you have to assume works you find online are protected by copyright, whether here in the US or from another country extending such rights, unless otherwise indicated. Boy was I wrong! When I speak on this topic, one of the questions I asked of the audience is how many people have had something they posted online stolen. Nearly every hand in the room goes up. I usually go on to ask how many people have used or taken images straight from Google Images. That one always shocks me, because, again, I would think people would know that Google is a good resource and not a repository. Today I want to discuss using photos and images found online and photo/image copyright laws. I will not talk about using images from a brand’s website. The focus is on those images and photos found by searching the internet and coming up with page after page of images suitable for your needs. What is Copyright? Copyright is protection created by the US Constitution that gives virtually every author the exclusive right to use or reproduce their work. This is a United States federal law and, therefore, uniform across all states. And, as the US Government has signed on to a variety of international copyright agreements protection is essentially worldwide. This makes photo copyright laws very broadly applicable to online content creators. Nearly every photo taken or image/graphic created gives the author (the one who takes the photo or creates the image or graphic) a protectable right to prevent others from using or reproducing their work. Of course, there are exceptions, but generally, the photographer or designer/creator owns the copyright. This is actually very important to know should you ever hand your camera to someone else to take a photo. That’s a completely different discussion, but don’t get offended if you ask your photographer friend to use her camera and she says no. How do I get a Copyright? Copyright is automatic upon creation of an original work of authorship. With regard to photography, with few exceptions, every image obtains its copyright upon creation. If the photo or image is only on your hard drive or cloud drive there really is no significant issue regarding unauthorized copying. It’s when you upload your photo or image to a sharing site, your website, your blog, Twitter, Facebook, Instagram, or other social media platform when the potential for someone to use your image comes into play. There is often a misconception that you have to ‘do something’ to get a copyright. That is not true. And no, you don’t have to mail yourself a copy (often referred to as the “poor man’s copyright”). The current version of the Copyright Act does not require any filings to obtain a copyright. Can I Use Photos or Images from the Internet? NO! Well, maybe. Possibly. As a general rule, just assume that if you find an image on the internet that it is covered by copyright. Do not just ‘right click/save’ and put it on your website or blog or other social media platform or even use it on print materials. If you can find the source of the image you can then determine if they grant a license, such as creative commons, or offer it in the public domain. If they do offer a license, either free or for a fee, comply with the license and follow their rules and you’re good to go. Just know what you must do. NOTE: finding something on the internet DOES NOT mean it is in the public domain. “Public domain” is a term of art and refers to a legal rule that means a work is no longer covered by copyright. Can I Give a Link Back and Use the Photo? Uh, NO! Often referred to as the ‘hat tip’ or ‘shout out’, many feel that if they give the photographer or creator credit of some form then they’re good to go. WRONG! Of course, you need to give credit if that is what the license requires, but then you actually have permission. Just telling people who took the photo will not protect you from a copyright infringement claim if the author did not give you permission to use the image. There is a big misconception that people want you to share their photos with your friends, family, readers, etc. Not always true. And while the majority of photographers really won’t mind, there are many who do and many who will not hesitate to take down your site or demand a hefty sum for using their images. If I’ll Get Caught Maybe I Just Won’t Link Back Even worse! Now you’re claiming it as your own and that is sure to anger the photographer. If you don’t want to link or give credit, either take the photo yourself or find images that are in the public domain. There is a difference between copyright infringement and plagiarism and it’s important to know the difference. But the Photo Did Not have a Copyright Notice On It! Then, if you want to use the photo, that should alert you to do some extra work to find out who owns the image. US Copyright laws do not require the author to include a copyright notice. Yes, having one makes it easier to find out to whom you need to go for licensing. However, the lack of a copyright notice does not mean it is in the public domain or yours for the taking. User Beware! Many photographers are embedding their copyright information into the source code for the image, so even if you crop out copyright notices, crop the photo to a size you want, right click instead of download, take a screen capture, or use other ways of saving the photo directly to your device understand that the author/copyright holder may still be able to track your posting of their image online. In addition, just like that game Six Degree of Kevin Bacon, you never know who knows someone and you’d be surprised how protective people are of their photos. Conclusion Before taking any photo or image off the internet to use in your business or for personal purposes, get permission! Whether it be via a free license such as creative commons, paying for the license through a stock photo site, or using images known to be in the public domain get permission to use the image. It doesn’t take a lot of time to find a quality image. It surely takes much less time than what you would have to spend if you get a cease and desist, DMCA take down notice, demand letter, or complaint that an infringement suit has been filed (though this last one is very rare). THANK you so much! – I am always looking for photo sites that allow use! I appreciate all the blog law you are sharing as well – it has been very helpful. Thank you for visiting and letting me know you find the information helpful. It’s my pleasure to share! Thanks a lot for posting a valuable article about intellectual property rights. I am a retailer and nowadays I started selling in online, I sell different types of cover and screen protector for iPhone, Samsung etc. when I take product images I take screen protector and iPhone in the same photo just to make it how looks perfect fitting. Now I am confused, can I use iPhone beside my products in the same image? Although I am not an authorized Apple reseller. This is a bit of a tricky situation because it’s not purely a copyright issue. It is a hybrid copyright and trademark issue. You’ll likely want to speak with an attorney if you’re concerned about the legality of using photos that include the various devices. Thanks for the info! I’m confused about images of products and logos, though. If I wanted to use an image of, say, an Adidas logo on my blog, or an image of a gallon of Mobil 1 motor oil, how do I do that the “right” way? Often, using corporate logos or brand images will fall under the Fair Use Doctrine of copyright allowing others to use the image without repercussion. Fair Use is complex, however, images are often allowed for commentary, criticism, news reporting, and scholarly reports. I’m not certain the reason you would want to use the logos, but I’m assuming it is to demonstrate that that particular product is on sale or was used for a particular purpose. Unfortunately, there is no hard and fast rule. Many will immediately say that the use of the image to show that the product is on sale is covered by fair use, but that’s not how the law reads. And because Fair Use is determined by a court and not a preset laundry list of criteria it makes it that much more challenging. Will a brand come after you because you used a picture of their product to show it was on sale? Probably not. What if disparaging remarks were made? Maybe. Many bloggers take brand images and use them on their site. Is it legal? Probably not. But will the brand come after them? Most likely not, but you never know. If the brand does, at least there is an opportunity to engage in some dialogue. The reality is that brands won’t get back to bloggers for every demand to use an image, it’s just not feasible. But that doesn’t mean they relinquish their intellectual property rights either. Hope this helps. If you need further clarification, feel free to post your questions. Thank you for asking such an important question. Thanks for replying. Assuming images of logos and products are covered under Fair Use, what is the proper way to snag them? Sticking with my given examples, if I search for “adidas logo” on Google Images, I get a zillion images from just as many sources, including other blogs who have used them. Is it acceptable to grab an image like that from another blog or non-official site? Sarah, if you are going to use a logo from a brand (assuming covered by Fair Use) it would be best to find one on their site to ensure the image has not been altered. It also ensures you have what is likely the most recent version, as they may have changed colors or re-styled it. Google Images is a very helpful tool, but if you are unsure of the source you can’t be certain that the image is accurate. As for ‘acceptable’, I’m not sure brands openly advocate anyone taking images from their site. However, they would likely prefer you using an accurate image to one that has been altered or modified. Thank you for posting such a great article that everyone can benefit from! Most photographers would be thrilled if someone wanted to use their image…just get permission from the photographer first. Thank you for visiting and sharing your perspective. I think you hit the nail on the head – get permission first. Thanks so much for this post! I’m so happy to have accurate information, so many people don’t understand Copyright Laws and your post helps clarify a lot of misinformation. Thanks again! Thank you! That’s my goal – to provide correct information so bloggers don’t put their hard work at risk and so photographers get the credit they deserve. It truly can be a win-win! Thank you!!! I was actually wondering about this very thing this afternoon!! Very helpful article! Wow, this is exactly the information I needed! I have used the free commons on flickr for my previous posts and was wondering about how I would go about featuring a particular designer. You truly helped me, but before I create another post, I’m going to brush up on what other ethical blogging information I may need. I’m so glad I saw your post! Anna, thank you for letting me know the info was helpful. I appreciate it. Thanks a lot for very helpful information! I’m a newer in blogging, so there’re many things I still should know. Thanks you so much for this super informative article. I am one of those that didn’t know this stuff and hope that I haven’t ruffled feathers with my occasional use of google image photos. I take a lot of my own photos for that reason. Let’s say that I want to use a David Beckham photo (taken recently on a football pitch). If there’s no logo/info, how can I find who is the photographer to ask him for permission? Leo, if there is no indication as to the source (for example, Getty always puts a watermark on their images, but sometimes people will crop them out – which is illegal) it’s probably best to keep searching for an image where you can verify the source and possibly the copyright holder. While Fair Use will allow for use of images in certain circumstances, there are many professional image companies (Getty is one) that is vigilant in their copyright enforcement and even if you have a Fair Use claim they may push you to prove it in court. That’s not often the outcome you want from using an image. Hi Sara…I have a question, you probably answered this already in so many words but I might need a clearer answer if you have one. I want to give a review on a product (hot sauce), also critique it’s labeling system as to how it’s confusing to the average person. I found some photos in the net of the labels using google search. The hot sauce also has it’s own website. Can I use any of the photos, either from their own webiste or from somewhere else to use on my blog to show how confusing their 3 different labels are and how one might make a mistake buying the hotter sauce because they mistook the label thiking it was a milder sauce? To break it down as easily as I can, people in the pepper world think like this: Green = mild, orange/yellow = medium, red = hottest, the labels for this particular sauce are green = just below medium, red = medium, orange = above medium per his own labels. This has been mentioned on another site but I want to do my own review on my blog. So again, would I be breaking any laws if I used photos found of their labels on the net for this purpose? Using images from the brand’s website for critique/commentary may fall under the Fair Use exception. It is rarely ever a good idea to use images that were found through a search engine search as the copyright issues can be time consuming. Many people do product/book/art/marketing reviews without difficulty. Using ones own images is always safest. If I bought a product and took my own pictures of the labels/logo, etc… would it be illegal to use those on the internet to make a review or to critique a product? When you take the picture, you own the copyright to the picture. But when you write a review, you have to be sure that you are writing an honest review and not writing something that can be seen as defamation, and that is another subject. John, yes, copyright infringement and defamation are two very different legal theories. Both very complex. And both often ignored. I used a website designer who built a website for me. after a year, one company claims that one of the photos used was their own and is seeking damages. who is liable, the website designer who used that photo or the end user of the web site ? Joe, this is one of those “it depends” situations. As the user of an image, the copyright holder may seek redress from the user who is violating the copyright. However, depending on the agreement between you and the designer you may then be able to seek indemnification for any loses due to the acts of the designer. Unfortunately, copyright holders do not care how an alleged infringer came about using their copyrighted image. As the one allegedly violating the copyright, it is you they have an action against. Speak to your designer to determine how the image was obtained and if there was a license under which the image was used. If there was a license for the image that would cover the use, that should be brought to the attention of the copyright holder. If the use is not covered by the license or exceeded the time frame of the license there may be liability. Furthermore, if there was no license to use the image and it is not in the public domain the use may be violating a copyright and the copyright holder is within their rights to seek redress. I loved your advice here! I just had one additional question. Let’s say I wanted to use someone’s pictures for my website, and they granted me permission. Do I need to have something specific written out and signed? Is there some sort of a contract that needs to be filled out? If you could let me know what needs to be done to make sure that I am “safe”, that would be so much help! Sheena, one of the great things about email is that there is a record of the conversation. Even if there isn’t an elaborate, legalese-laden, official contract there is still something “in writing” that sets forth what the parties intended. There are some drawbacks to not having a formal contract, though. Often a contract will consider a variety of contingencies that are not normally discussed and hammered out through email. Unfortunately, there is no “safe” option. Instead, if you’re communicating with a copyright holder for permission to use their image it’s best to consider how you wish to use the image and get permission for those specific uses. Great content! Thanks so much for helping people understand the ins and outs of copyright. As a professional photographer it is great that you are giving good information about how to use or not use images the right way! Lets say I want to use a photo of a stadium the in my advertisement. Would I be in doing something against any copyright laws. Lets say I want a photo of the Stanley Cup and use that in an ad, is there anything against that in the copyright laws. It depends. Many building are subject to copyright and/or trademark protection and thus, photographing them for use in commercial purposes violates the holder’s exclusive rights. The same for the Stanley Cup. Photographing a copyrighted work amounts to reproducing the item and is prohibited by law. Trademark infringement may also come in to play when photographing trademarked items as well. I am not sure how to post my own comment/ question and it is related the comment above. What if I take a photo of a person and wish to use in my blog- eg 1) a street with people in? 2) a group of dancers in a cultural village performing? Would I need written permission to use? I would not be saying anyhting disparaging by the way. Generally, images of people in public are not protected under privacy laws. However, if your blog could be considered a commercial use perhaps individuals in the image could have a claim for the commercial use of their likeness. This is one reason you’ll often see faces blurred out or images of bodies only, to prevent the use of an individual’s likeness. Privacy laws and Right of Publicity laws often collide, as you have described. Obtaining permission from the individual would cover the Right of Publicity concerns, but that permission must be obtain lawfully and you would want to have proof of such permission. Thanks very much for a) a terrific article, and b) for taking so much time to help out in these comments. It seems clear to me that the use of an image taken of people eating in a restaurant cannot (or maybe “ought not”) be used, on that restaurant’s website, without written permission from every person who’s face is identifiable. Does that sound correct? If you’ve written an article on the relevant laws, could you point me to them? I’d like to quote you, and link back here, in an article of my own. Using an image of people for commercial purposes brings up liability issues with regard to the individual’s right to control how their image/likeness is used. 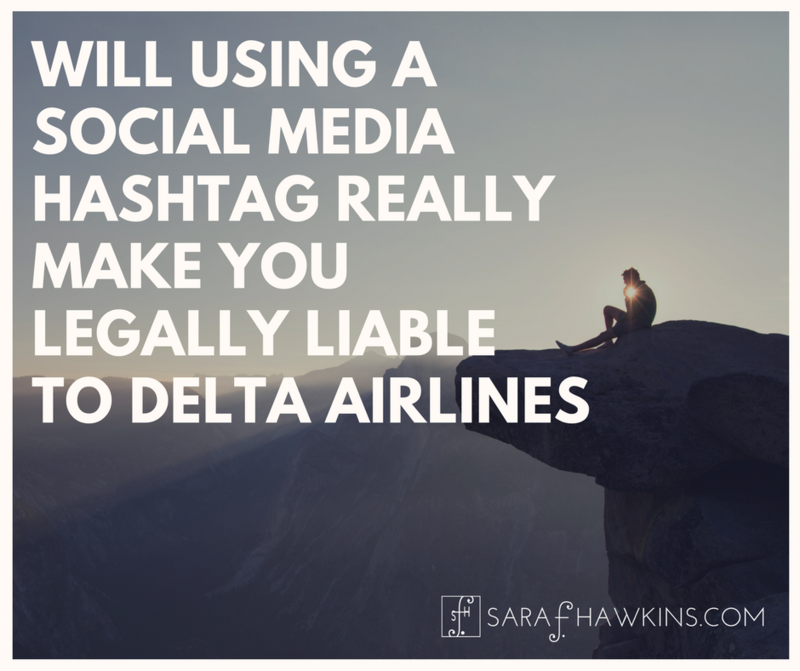 While taking the photo may not bring about liability – generally, taking photos of people in public is legal – using a person’s image/likeness without authorization for commercial purposes could raise liability concerns. Thank you for the infos, Sara. The last thing I want is to be sued. However, in my case, I’m actually creating a resource information folder for a medical ward and been searching updated infos online, including photos with copyright on them. If it is for group of people-medical field- for educational use, will the purpose of use be under the copyright fair use? Not for blogging. Thank you so much for sharing this information! The links you shared for stock images are also very helpful! Can I use a photo I found on Google while searching for labeled for commercial reuse with modification? What kind of modification would make it OK for me to use? If it is of a celebrity sports figure, is there anything else I would have to do to use the photo? Sue, images found on Google may not properly reflect the appropriate copyright reservations from the owner. Always try to find the original work from the copyright holder to ensure you’re getting the correct information. When using images of people, their right of publicity will often run contrary to copyright needs so permission to use an image of a person is often required from that person, especially when they are a celebrity. Can I use images of famous people in my artwork? I mean people such as JFK, Elvis, Marilyn Monroe etc. When using people, you need to know what, if any laws, specifically applies to use of their likeness. Marilyn Monroe’s likeness, according to a 2012 case, belongs in the public domain. You’ll need to determine the status of each individual before proceeding so as not to infringe on any exclusive rights they or their estate may have. I was just on the Flicker site that you give a link to and I saw some photos of JFK. When I clicked on these, they said “some rights reserved”. How is this possible since the person on Flicker did not take the photo? How can they claim ANY rights to the photo? This is all new to me so I hope these aren’t annoying questions. I’m not sure how they can claim any rights without examining the provenance of the image in question. Keep in mind, though, that many people upload images that they found to Flickr and don’t have any rights but don’t change the settings. Hi Sara. I have a question about fair use of stock photos from manufacturer sites. Based on what I’ve read here, I think I’m ok, but would like to run it by you. I am building a site about how to get started in medical transcription. As part of the site, I want to recommend specific models of office equipment for people to use that I think are well-designed. The purpose of including the photos is to give people a visual of the exact items I am reviewing. My site does contain various affiliate links to a transcription school that I make money off of, but I will not make money in association with the items and stock photos I am reviewing. Can I generally use basic stock photos from company websites for positive reviews of their products as described? Hello. Great article. What if I take 2 or more images and combine them into one new image (If I was to create an album cover or poster of some kind)? Copyright law gives the owner of the copyright the exclusive right to create Derivative Works. Derivative Works are new works which incorporate some or all of a pre-existing copyrighted work. There are very few exceptions, the most common being Fair Use. Attribution for Creative Commons licensed works used in video is provided at the end of the video. If you can make the attribution clickable, even better. If there is a written piece accompanying the visual work attribution should be provided at the end of the written piece as well as a best practices effort. 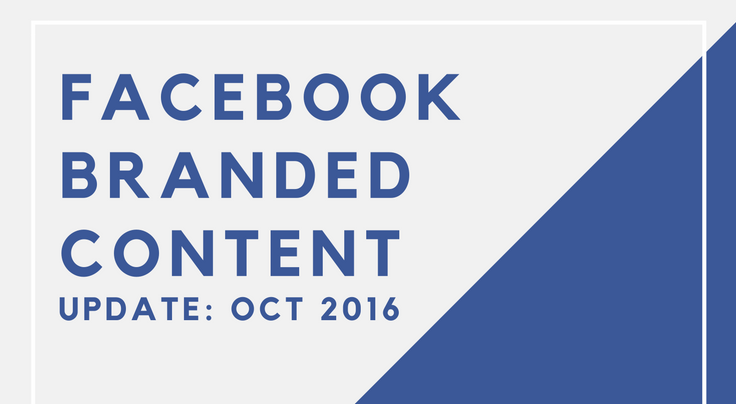 We’re using gif video’s that are found on common sites such as giphy for example and incorporating them into video’s we’re making for client Facebook content. We’re doing this based on the derivative law after we contacted giphy directly to find they aren’t offering any license for use in this area and understanding that we use a portion in recreated works. We also came to understand that much of the material we find is found in multiple locations. We don’t trim out the original watermarks ie. senorgif.com is kept in frames that we use as an example. But based on what you’re saying we should also include a quick attribution at the end of each video for any parts used within? Despite these things we are doing, is this still dangerous? Just because something appears on giphy doesn’t mean giphy owns the copyright. As such, if you read through the giphy TOS you’ll likely find some type of “safe harbor” language indicating that users may only upload their own intellectual property. Providing attribution does not relieve anyone from a claim of copyright infringement. You may wish to familiarize yourself with the “derivative works” aspect of copyright law since the copyright holder has the exclusive right to make derivative works. Any time you incorporate a copyrighted work into another there is a risk of copyright infringement unless the new work is transformative. Thank you for the great info, Sara. Sara, I started my own small company, and I want to use copyrighted images (vector art) as go-bys, and have graphic designers change them “enough” so I won’t infringe on the copyrights. But the tricky part obviously, is determining how much is “enough” of a change (using photoshop). I could email you an example and compensate you if necessary. What are your thoughts? Tom, the concept of “transformative” is not an easy one to articulate. In some instances simply making something larger or smaller have been found to be transformative with regard to images. In other instances, very elaborate modifications have not. How much is “enough” is very subjective, unfortunately. And the copyright holder may disagree with anyone changing anything, while, if the issue goes to court, a judge could have a different view. 1) I notice that at the bottom of the page you assert copyright, with all rights reserved. I would like to use some content for teaching, and may be permitted to do so under fair use, but will ask: may I use this information for teaching? 2) What is the legal status of the “Tracebacks” section of this post? Is it covered by your copyright at the bottom of the page? Did you get permission from the sources before posting or are you asserting fair use? Why do you list the date and time? 3) I do not see any legal terms while I typing this comment. What is the legal status of the comments section of this post? Is it covered by your copyright at the bottom of the page? Why does the author of the comment not own the copyright? If they do, how should that be shown on the blog? For question 1, please see my reply above. 2. Trackbacks on my site are an optional code that lists sites which have liked to my post. Not all sites offer trackbacks, but those that do are listed on the post’s page. There is no copyright assertion to trackback as they are not likely sufficiently original to gain copyright. In addition, since the trackback exists due to code, if it were to be copyrightable the copyright of the trackback would belong to the creator of the work that linked to my site. Date and time are included because that is how WordPress has coded that component of the platform. 3. Comments that are written by me are, if copyrightable, my copyright. Comments, if copyright, are the copyright of the creator. The US Copyright Act does not require a copyright notice for a copyright to be valid. Lack of copyright notice by the commenters does not negate any rights they may have in their comment. Equally, lack of copyright notice on my comments does not negate any copyright I may have in my comments. I have never seen any blog that provided copyright notice for comments. Hello…My wedding photos have been popping up on negative articles about interracial dating and it is really turning into a nightmare. I contacted the company and they said they removed it HOWEVER i’m still getting tagged in photos from family and friends where one negative article in particular still exist. People actually think the article is about us and It’s just embarrassing. Is there lawyer I can hire? What makes me upset as well as they didn’t even at least say these are JUST PICTURES not who the article is actually about. Is there a list of lawyers I can contact somewhere? I’m so over this! When you say these are your wedding photos, are you in them or are you the photographer? There are two separate issues that may be in play. If you are not the photographer you likely do not hold the copyright in the images. Only the copyright holder or their authorized agent can request a takedown under the DMCA or seek damages for copyright infringement. 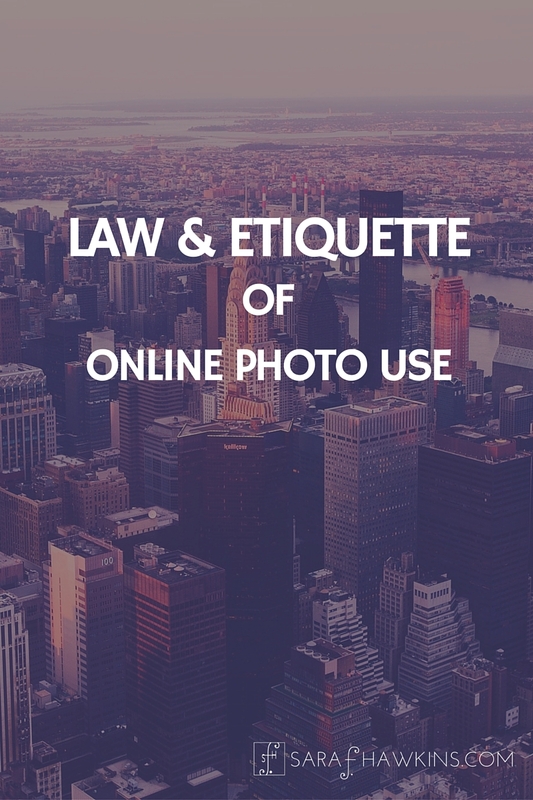 If you are in the photos, your rights are represented in other areas of the law such as defamation and, if your state has one, laws related to privacy and/or rights of publicity. You may wish to seek legal counsel to discuss your rights. Thanks for the reply Sara…They are my actual wedding photos. Hi Sarah, my husband and I are professional photographers and we often use Instagram to share some fun snapshots from our iPhones. I have a couple of questions about what’s legal to do and what’s not. First I am wondering what our options are when we see local businesses copy and paste, use, our Instagram images for their Instagram feeds. They haven’t “regrammed” the image it is a pure copy and paste. Secondly, there is a local real estate broker who downloads our images from facebook and then uses those images and prints up cards with them, we receive these cards with a greeting of how much they love our work. I am always taken-a-back and feel like something was stolen from me but I know it isn’t their intention (because I personally know these people) but it’s not ok, however, I am not sure what is legal. It is very frustrating when you find your copyrighted images being used without permission. 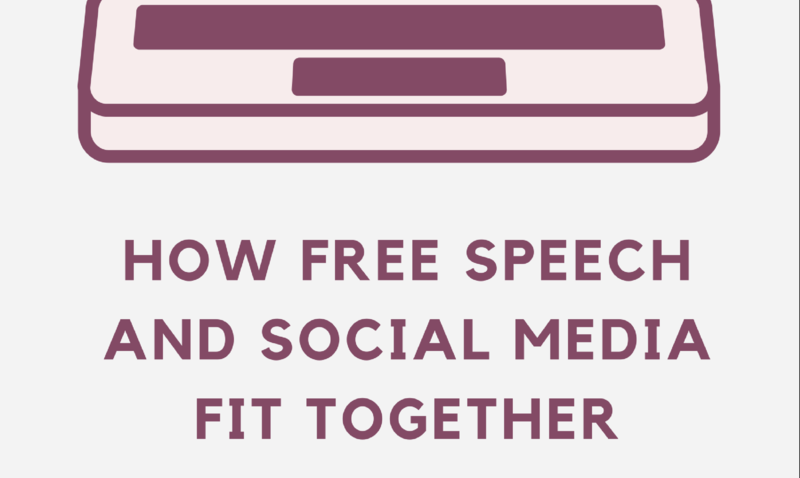 With online use, the major social media platforms have a DMCA policy that allows copyright holders to notify the platform of allegedly infringing use. Facebook and IG are owned by the same company but the process to file a DMCA takedown is unique to each company. Both have an easy to fill out form, though. For off-line use, there is no DMCA equivalent. Copyright infringement is handled in different ways so you should seek out knowledgeable counsel. If you are not submitting your images for copyright registration that is something you may wish to do so you could then take advantage of the US federal copyright statute regarding damages and attorney fees that are not available for works that are not registered. If you are finding that your watermark is being cropped out that is an additional concern you should take up with knowledgeable copyright counsel as well. Great information by the way. I was wondering if you could answer a question I have? My wife has a small travel company where she lists and sells tours for her clients on her company’s website. These clients give her permission to use their photos, many of which are pulled from their websites. One such client granted her permission to use photos from their site but it turns out a few of these photos were copyrighted. Apparently the company either purchased these photos or contracted someone to take them. Can a demand for copyright infringement fees be taken against her for posting these photos even though the client gave permission to use them? Hi Steve, sounds like you’re asking if someone who used an image with permission (Person A), only to find out later that the person who granted permission (Person B) did not have the right to grant such permission, could seek indemnification from the person who provided permission if the user of the image is held liable for copyright infringement or paid to settle a copyright demand with Person C. I know that may be hard to follow, but hopefully you did. It’s not as easy as it seems, unless there was a written agreement that provides for indemnification. Could Person A sue Person B? Sure, if there is an appropriate legal theory, of which there may be several. But, that would entail actually suing Person B if Person B didn’t want to pay up and make Person A whole. This is one example of why it’s important to have these type of agreements in writing. that is such a nice copyright information, thanks for sharing such kind of information. Quick question. What if I take all my own pictures for my blog but the pictures sometimes feature food product labels. I review and talk about different brands I buy, ect. Could that cause any legal issues, even though I take all of my own pictures? Food product labels present both copyright and trademark issues. More than likely copyright infringement claims would be low for taking a photo of a product label and using it on a blog to talk about that product. The trademark issue could be more significant depending on how it was actually used. Unfortunately, there isn’t a universal easy answer because it all depends on how the work is used. I have had an image of my son (3 month old baby) published on a number of online forums, as well as television news. the image was posted to Facebook initially, however no permission was granted to a vast majority of the people who have used it. I keep being told that they have the right to the image as it has been used for a newsworthy story. is there any additional laws to protect a minor, or is there a rule about only being entitled to use the image for newsworthy reasons for 7-10 days max? Everywhere I go gives me contradicting answers and without a legal background when I try and find the answers for myself it may as well be written in Chinese as a lot of it is well over my head. 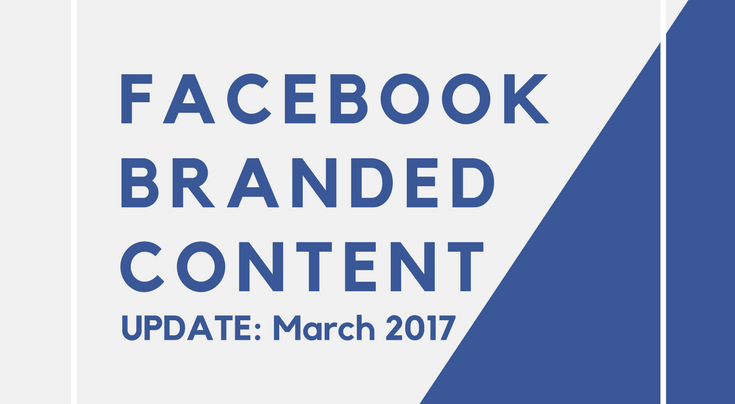 When images are uploaded to Facebook, sometimes they can take on a life of their own, especially if others download them. If a use of a copyrighted image is covered by Fair Use there isn’t anything the copyright holder can do to prevent the use. There is no time limit to how long a copyright image can be used if the use is covered by Fair Use doctrine. If a copyrighted work is bring used without permission and would not be covered by Fair Use or other exception, for online postings the DMCA provides the copyright holder the opportunity to issue a Takedown Notice. Yes, the user can respond that they have rights (such as Fair Use), but all DMCA notices and counter notice are made under penalty of perjury so any statement on a DMCA notice is not to be made lightly. If this is a serious concern you may want to contact an attorney or a DMCA filing service. I don’t know about pexels but I am familiar with Pixabay and Unsplash. While both are “legitimate” websites, they are providing user-generated content. It is the subsequent user of such content that will have liability if the work uploaded is not, in fact, licensable by the person who uploaded it and made it available. In addition, it’s unclear if the image is embedded with the license information to protect from future liability. Hi Sara, Question. My son took pictures from his teachers Facebook pages and put them on his Instagram. He just labeled them teacher’s of memorial. There were no inappropriate pictures or captions. He was not using them to sell things or promote anything. It was just shared by the students, now his Vice Principal told him that she was 1 suspending him and 2 pressing charges. Is this illegal? Granted their Facebook pages are open to the public. I’m sorry, my question is did my son break the law with what he did? I have a member of my website committee who is convinced that photos of public figures such as Martin Luther King Jr., and also images of religious icons such as Our Lady of Good Health are okay to Google and use on our website. I have tried to tell her that we have to be careful with all photos/images and have to look into permission to use etc., but she is not convinced. Help… what is the legal understanding of the use of such photos/images? Whether an work is covered by copyright depends on a number of factors. While a photo of Martin Luther King, Jr. may be easier to determine its copyright status, an image of a religious icon may be more difficult. You need to know when the image was created (and perhaps in what country, if not in the US) to then begin the analysis of whether it is still covered by copyright. Taking any random image from an internet search could bring with it significant legal liability, depending on the status of the copyright on that work. Thanks so much. I have pretty much been doing what you suggest, however my boss wanted something in writing from a professional. I will let her know what you said. I have been reading about CC0 public domain images. I read that images that have been dedicated to the public domain might still have a copyright on them, because the person that put them in the public domain may not be the actual copyright owner of the image. Therefore, it wouldn’t be safe to assume that these images are legal to use. For that reason, should I not use any of these CC0 images for my blog? Correct, just because an image is designated CC0 does not necessarily mean that the copyright holder or their exclusive agent has made that designation. Using a copyrighted image, even if that image is erroneously designated as CC0, does not relieve the “unintended infringer” of liability. Copyright infringement is a strict liability offense. Perhaps the designation as CC0, depending on the circumstances and exact specifics of the situation, could be used as a defense but that would only be if the case go to trial, which is a huge expense most are likely not willing to undertake. If a DMCA is issued or a demand letter sent, only valid defenses and exceptions to copyright infringement would apply. It is unfortunate that anyone would upload another person’s work and designate it as CC0 but it is alway a risk. If I photograph a sculpture created by someone and I bought that sculpture, can I use that photo as a front cover of a book? or do I have to get permission from the sculptor? As far as I understand it I have the copyright of the photo. Short answer, No you can’t use the photo you took. Taking a photo of a copyrighted work does not give you any copyright rights in the subject of your photo. You may have all the copyright rights to your photo but those rights only apply to your photo and the copyright holder of the sculpture still has all their copyright rights, which includes the exclusive right to create derivative works. Long answer, if you want to use your image of the sculpture you should contact an attorney or speak with your publisher. GREAT POST!!! THANK YOU! As a photographer I am very mad when I see my photos being shared without my permission, or if I have given permission without proper credit. Thank you for this post. Hi, I just found that a local on line newspaper use one picture that I took with my drone of the local high school to be used on my real estate webpage, there is something that I can do against them ? Use of a copyrighted work by a newspaper may or may not be covered by Fair Use. It would definitely depend on the context of how the image was used. I’ve had discussions with many news organizations that have used my client’s work without permission or attribution. The decision on what to do will depend on an examination of how the image was used and what, if any, reasons may exist to permit the alleged infringement. Great information, thank you! Quick question though. What about personal, non-public, non-internet use? Such as, I download an image, modify it by cropping and changing it to gray scale, and print it onto a personal item that will never be used for anything public or commercial. Other websites say that is fine, but after reading your article, I would like your opinion before I do it. The following, as with all information on this website is for information purposes only and is not offered as legal advice or a legal opinion. There’s a difference between “it’s fine” and “it’s a violation of the US Copyright Act but the copyright owner likely will never find out”. IF the copyright owner or their exclusive agent doesn’t know about the alleged infringement they can’t do anything about it. These rights are not without limit, however. So while it is a violation of the US Copyright Act to reproduce the copyrighted work, someone has to know that it happened. It’s like speeding. It’s illegal to speed, but lots of people speed and never get caught. That doesn’t make it legal, though. Ah, ok, so it sounds like my reproduction would still be a violation. I would rather err on the side of legality, so I will try harder to find the owner, or see if I can fund something similar on the sites you listed. Thank you very much! Great post!! I have a question… we are a web designer and we did a website way back in 2010 for a diner. I received a call from this client today stating that he rec’d a letter from a law office demanding payment for a particular food photo used on his menu page if he was not able to prove he purchased it. He contacted us to get this proof. We have good records and ALWAYS buy photos for the sites we do. But being how old this site is… I cannot locate these receipts. How long is too long to make such a request? The lawyer was demanding a payout of over $2K. Obviously, our client was very upset about this as were we. Any input would be very appreciated. Without proof it’s difficult to defend the use as being authorized by a licnese. Under US copyright laws there are statutes of limitation. The US Copyright Act states, “No civil action shall be maintained under the provisions of this title unless it is commenced within three years after the claim accrued.” 17 U.S.C. § 507(b). And since the DMCA section 512(f) is under Title 17, that same statue of limitations would likely apply to online materials as well. However, determining when that 3-year period begins/ends is not always as simple as looking at a calendar. Great article! If I have a website and I want to allow others to post their pictures and then produce a photo book of their pics as a benefit to their membership….what do I need to do for this? Justin, I’m not really sure what information you’re asking for with regard to your proposed project. There are a number of legal aspects that should be addressed but I can’t really discuss them since most of them will depend on how the business and service is structured. If you’d like to schedule a consult, perhaps that would allow me to provide information that is more informative. So what if I am reviewing a book, album, or movie? Am I allowed to use the cover art as an image in my article? This is an excellent question, Jason. Generally, there is a strong argument that using the cover art of a book, album, or movie in association with a review is covered by Fair Use. Often, though, you can go to the publisher, artist, or movie website and find press images. Using press images is a great way to get approved images that are high quality. There are some publishers, artists, movie studios that may disagree with the use of an image, and since Fair Use is a highly individualized determination it would have to be addressed individually. Generally, though, fair use covers the use of images when used in conjunction with a book, album, or movie review. I had a website built a year ago by, at that time, a close friend, he took all the pics for the website and we launched it. A year later we had a falling out and now he want me to take down all those pics, thus inhibiting my business. No paperwork or contract, just a bunch of emails discussing the new site and design? do I have to comply? This is really a much more complicated question than can be answered here in the comments. You should seek legal counsel for this matter. I’m working with a non-profit organization that is aggregating relevant news articles from news sources and re-posting on their non-profit site (publishing the first few paragraphs, then linking back to original source for readers full article access). I believe this is standard practice and legal to do. My question relates to the photos used in the original article. Can my client legally use a smaller image version of the original article’s photo when re-posting the first paragraphs of the article? Would the original article images usually have licenses with third party rights (ie, our organization can use image as part of the link-back?). It would be very time consuming trying to hunt down the legal status of each image from all the different news article sources. Thanks for your professional input. Professional news aggregators rarely download images and instead use APIs or other forms of technology to serve up images for news articles. While the Perfect 10 case said it’s fair use to use a thumbnail image, for news aggregation a thumbnail image may or may not be sufficient. You’re asking a complex legal question for which I can’t provide an answer. The final determination would need to examine the exact type of articles, would your website be seen as a news aggregator or simply as a disseminator, and how the image is bring obtained, in addition to a number of other legal questions. While it may be standard practice to publish the first few paragraphs, copyright law does not speak to how much of the content can be published and not be considered infringing. As a non-profit the organization can still engage in commercial activity as defined under copyright law so it’s not a given that non-profits are immediately granted the fair use exception. Sorry I can’t be more specific but you’re asking a detailed legal question that can’t be answered here. Hi Sarah! I took a picture of me with a cardboard image of Morgan Freeman at Madame Tussauds museum in New York. Can I use it on YouTube as part of my music video. Thanks in advance,Victor. From a copyright standpoint, the person who takes the photo is usually the copyright holder and can use the image for any number of purposes. However, when the image includes a celebrity, even a cardboard one, that celebrity, just like all living (and in some case deceased) individuals, has the right to control how their image is used. Especially if the use is for commercial purposes, an individual has the exclusive right to prevent others from profiting off their name and likeness. You should definitely speak to someone knowledgeable in this area of law prior to proceeding. Thank you for this excellent article. The comment section is also informative. I am a graphic designer and often have issues with clients who think they can just “google an image” and email it for me to use, and they don’t understand why I say that they have to either take the photo themselves or purchase it. It gets tiring to have to have to re-explain this to each client. This morning I had yet another incident, so I decided to look for an article online that I can share, and I found this. I’ll be sending him a link to this page. Just a quick question, if i have full copyright and usage of a photo which say for example I have bought all royalties for from istockphoto website can I then use this photo in my book which will be published? Do I have to give credit to the photographer or not? What happens if I don’t give credit? I have full license to use photo since I bought and is royalty free. Use of stock photos is for the specific purpose it was licensed. Images from istock are licensed and do not convey copyright rights. Use of a licensed image for a purpose other than that for which it was licensed is copyright infringement and could present significant liability, especially if the images is registered. Royalty free does not mean you can use an image for any purpose you wish, the use must still comply with the license. Giving credit is either a contractual obligation or a plagiarism issue. I took pictures for a friends costume jewelry for my book that produced and sell online, and I gave her a copy of all the pictures for her records, as that was what she wanted in exchange. Now I have found she has them online, showing “her collection” without my permission. Do I have any say in the matter? The general rule with copyright is that the exclusive rights belong to the creator. There are exceptions, however. Those exceptions are normally related to employment or having been hired and having a written agreement as to the work being a ‘work for hire’. Many people are mistaken that photos of them or their property belong to the individual in the photo or the owner of the property. There may be other legal rights regarding using another person’s likeness or their property but copyright law does not speak to these issues. Hi Sara! Your article is very helpful thank you! I am building a new website which aggregates information about different venues. Each venue will have their own profile page. Am I able to use images from each of these venue’s websites or will I need permission? This isn’t as easy a question as one might think. 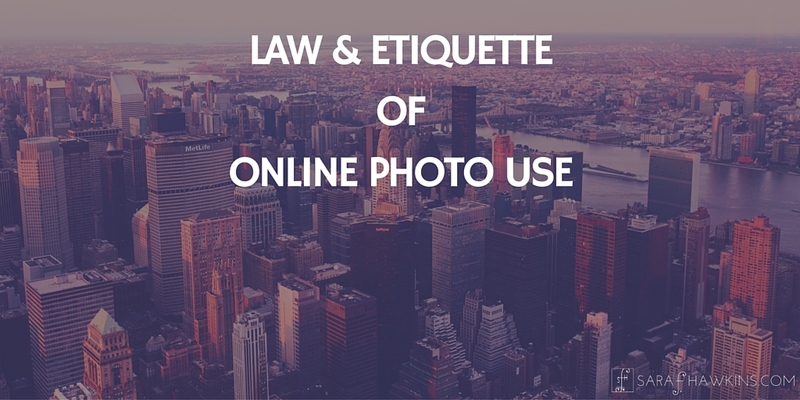 Any time you use images from another website there are potential legal concerns. You likely need to speak with someone knowledgeable in this area to help you determine if you can use the images and, if so, are there any limitations. I was able to get a stencil image off the internet, as it said Free Image Download. I tweaked it a bit and placed the image on souvenir shirts for an event I’m having. Is this legal? Lidy, I don’t know if you specific use is legal. There are too many questions that would still need to be evaluated to make such a determination. Only if the image was offered in the public domain or as CC0 would you know that you are free to do with it as you desire. Hi Sara, Thanks for This Aritcle. So, I took a photograph and use the photo on my website and give a heading : The Photograph is Taken by Me. Is it illegal ? What will happen if the photograph was copyrighted ? pls help me. There are two issues here (1) Plagiarism and (2) Copyright. Any time an individual takes credit for a work they did not create that raises issues of plagiarism. Plagiarism is not illegal in the US, it’s an ethical issue. In the US, using a copyrighted work for a purpose that is exclusive to the copyright holder is copyright infringement. There are a number of possibilities a copyright holder can pursue in the case of infringement. They can do nothing, issue a takedown under the DMCA, or seek damages available under the US Copyright Act. Unfortunately, I cant’ tell you if what you did is illegal since that’s offering a legal opinion on a matter for which you are not a client nor do I have sufficient information. What I can say is that taking an image off the internet and using it can raise copyright infringement concerns that should be examined. I am in a quandary about the intellectual property of a restaurant or its creations. I am writing a book that will involve discussing famous restaurants. I need high-resoution images of some of the iconic dishes (no people) from those restaurants. I see a two-fold copyright issue; that of the photographer’s rights and of the restaurant who created the food. Many of the images I seek are available via WikiCommons, but would a restaurant have a right or recourse against me if I print such an image? There is no copyright in useful articles so the restaurant would not have copyright over the specific plating of food. The photographer who took the photo (or the company that commissioned the image if it was a Work for Hire) would be the copyright holder. Depending on when the image was taken the copyright may have run out. There is a tiered dating system for copyright validity so you’d need to know a bit of information about the images. Copyright has expired for all works published in the United States before 1923. Other key dates are 1977 and 1964. It’s too lengthy of a discussion for the comments, but suffice it to say that if you don’t know the date of creation and/or publication it’s very difficult to determine if the work is still subject to copyright. Works published on WikiCommons likely have information that would support being able to provide the image for use on a commons site. What a fantastic resource of info. Thank you for all your time & effort here. I have several questions, but most important first: I have a travel website, and we feature hotel rooms. I get affiliate income from hotel bookings. I book rooms with my own money, stay in them, and take my own photos and videos of the rooms, etc while there. I then upload some of the images (usually small, 350 px size) onto my site, post positive reviews of the hotels (basically advertising them), and include an affiliate link where the reader can make a booking or do a price search of the hotel. I also upload videos of the rooms to YouTube as a way of promoting our site. Am I infringing on copyright for doing this? If so, would you say the level of risk is substantial? I can’t seem to find anything about this on major hotel company’s terms and agreements pages. Hi Greg, you asked specifically about copyright infringement but I’m confused because you said you are taking your own photos and video. There may be copyright issues with unique buildings, artwork, or music if they are part of an image or video, which is something you’d have to consider with your images/videos. It’s impossible to know what level of legal risk exists without a comprehensive review, which is something only your qualified legal advisor can provide. Other legal issues regarding your statement are that you indicate you’re posting positive reviews. Unless they are truthful, the posting of positive reviews presents a host of legal liability concerns. That is especially true for commercial publications/websites. In addition, the FTC has established guidelines with regard to disclosure of affiliate links. Thanks for the reply. Yes, they are photos that we take. I was just concerned about posting those photos without the consent of the hotel. But it seems like it’s OK, so that’s a relief. Nevertheless I will speak to a legal advisor about it. RE: reviews, they’re not extensive, but we are basically and briefly describing the hotel rooms in a positive, truthful way (i.e , this room has a views of the city, free Wi-Fi, etc). And we do disclose our affiliate links. My son and his family was given a gift of a photographer taking their photos of their family on a cruise trip that the “Make a Wish” foundation provided of paid for. If I post any of the photos on fb, would it be illegal? While the photographer may have retained copyright, often there is a license to share these images. You may wish to reach out to your Wish coordinator to make sure it’s OK. If you buy a photo of your self from a photographer can you take a photo of it off your phone and repost it to Facebook? can they make you remove it? Most professional photographers license the photos to clients but do not transfer the copyright. Even if it’s a photo of you, you only have rights to the image as granted by the copyright holder. If the copyright holder grants a limited license and the photo is used in a way that is outside the scope of the license, the copyright holder can request that the unauthorized use cease immediately. I’m a web designer making web templates for online stores. Sometimes the shop owners send us their product images to make their website wireframe. Sometimes I take image from other online stores or big retailers. Is it illegal? Many web designers have been held responsible for incorporated copyrighted works in their deliverables when those copyrighted works are not properly licensed or purchased. Any use of copyrighted work incorporated into a client’s project should be properly licensed. I found your website very interesting. I am looking for a specific information and couldn’t find the answer yet. Maybe you can help me. I would like to do an online selector for Swiss watches. People could enter the price range, size, material, etc…and click search. Then, I would like to display the models automatically selected (within my database) by the selector program on my website. I would like, for each model selected, to display its features but also a visual. I know that I can not use directly a photo taken from the official website of the watch brands. I was wondering if using thumbnails visuals linked to the website of the brands would be legal? I hope I was clear and thank you in advance for all the information you could provide. Many brands provide images for PR purposes or for marketing by authorized resellers. There are also other legal uses of trademarked and copyrighted properties, which you should discuss with an attorney knowledgeable in that area of law. Furthermore, the Perfect 10 case does speak to the Fair Use of using thumbnail images for certain purposes. However, the Perfect 10 case is solely related to copyright and your use may be both a copyright and trademark matter. be a great author.I will make certain to bookmark your blog and will eventually come back later on. Wow ! It has been a tremendous post. I just love this . Absolutely stunning. Hi I have a question. If I have a private blog, really for myself only to look at, can images I use on the blog be tracked by the copyright holder? The blog is locked and appears in no search engines, with no one having access to it but myself. Are the images able to still be tracked? I am not up on all the tracking technology out there so I can’t say if images on a private website can be found. Thanks for a very informative article. I have a question and would appreciate your insight. If an event organizer uses a copyright protected image, to which they have bought the rights, in the promotion of an event, and this event is then promoted on other sites – an event calendar site for example – are these other sites still liable for copyright infringement? Unfortunately, I have to give the dreaded ‘it depends’ answer. Any unauthorized use of a copyrighted image would go through the infringement analysis, first to determine if the use is infringement and then to see if there are any exceptions. An image on an event calendar that is the ‘official image’ of the event might be covered by Fair use, but it’s a case by case basis. It’s likely a very small size (and thumbnails have been ruled to be Fair Use, for most uses), possibly even a hyperlink so there isn’t even a ‘copy’. Also, could the calendar fall into one of the fair use categories? Check out my article about Fair Use if you’d like to learn more. I am being chased by an US attorney for copyright infringement of an image that on a google search returns thousands upon thousands of results. It is a generic golf shot used by blogs and sites all over the world. While I can accept that we used a copyright protected image unknowingly, (reposting an event organizer’s material) it is very frustrating that the image is all over the internet, and others seem to use it without issue. You may want to search ‘copyright extortion letter’ and learn more about this practice. Though I do not advocate using images that violate copyright laws, when it comes to enforcement there are laws that must also be followed as well. what does the law say about posting photos without the other’s consent? like for example, if my friend was to post a picture of me and I didn’t give them my consent what should I do. I know that there are some people out there that cant be on social media for protective reasons. This is a question about privacy rights and possibly about publicity rights. In addition, it could raise questions of defamation if the information attached to the image is false and meets the other criteria for defamation. In the US, there is a general rule that anyone can take photos of other people if the photos are taken in public and in a place where there is no expectation of privacy (bathrooms, dressing rooms, etc.) or no prohibition on taking photos (for example, certain events like concerts or conferences). There are some ethical concerns with regard to taking photos of children or vulnerable adults. However, being able to take the photo is one thing, but using it is a separate discussion. Unfortunately, many of the social media platforms do not have an easy way to report images on yourself and have them taken down. The platforms usually comply with court orders of protection and will remove images. For most people, though, it may be an ongoing process to have images removed using different request types since social media platforms are not in the business of resolving disputes between individuals. Thank you so much for your investment here to help us understand this important issue. My non-profit ministry a while ago purchased through eBay some privately held movie memorabilia information on paper that we planned to utilize in our ministry’s traveling exhibit. This information was never released in the movie or shared online. We hoped to make it a special draw for our traveling exhibit business, however, someone online took the image from the Ebay listing and proceeded to reproduce the information and share it on his Instagram and Twitter accounts thus ruining our marketing edge on this purchase. Now the information we paid a lot of money for is becoming easily obtained for free online. We have obtained a written document from the original photographer of the documents that were used in the eBay sale listing in which he has transferred the original ownership of the photos to our ministry so that we can control permission of use. We contacted the Instagram user asking him to take down the posting as it was not public domain and he did not have permission from us to use the information contained within the photos because it was owned by our business and had never been shared online by us and eBay doesn’t give you permission of use (nor did the original owner). The Instagram owner proceeded to give our ministry a very negative review and blast us for an inappropriate evaluation and request of his post. He has also permitted his followers to say and have incorrect evaluations of our business. Are we correct in what we’ve done? This person is unfairly hurting our ministry and we need to get him to stop both his sharing of our privately held paperwork and also his unjust negative criticism of our operation. Thank you for any insight you may be able to provide. Feel free to contact our ministry directly if that is better than here. We are happy to pay for legal advice/services rendered. We just really need someone that is knowledgable in this area. The legal copyright holder or its exclusive agent can request the removal of allegedly infringing postings, as provided by the Digital Millennium Copyright Act. The posting of false or intentionally malicious reviews comes with potentially significant consequences. Most review websites have a process in place for the removal of false or malicious reviews. In additions, the Lanham Act prohibits false advertising by competitors and provides that a business can recover significant damages, including treble (triple) damages, disgorgement of the competitors’ profits, costs of corrective advertising, and attorney’s fees if the publication of the false review is willful – which it overwhelmingly is. 15 U.S. Code § 1117(a). Even if the false review is not posted online by a competitor, a business may still have claims against its author for defamation. You mentioned that if I’m using a photo with creative commons license I still have to get permission. I thought the fact that it has that license is in fact giving me permission to reuse. Am I interpreting this correctly? Who do I get the permission from and how do I find their contact method? Thank you. For a creative commons license the permission is usually provided in the license information. The suggestion to obtain permission is not a directive to contact the copyrightholder specifically. Hi, we are considering running a contest on our site where people can nominate other people for certain awards (ex. a favorite coach). We would like them to submit a picture of the coach, team, etc. Are there any concerns we should have about posting the pictures? If we ask the submitter if they took the picture is that enough to ensure they have the copyright? Any specific concerns if they post pictures of kids on the team? Using user generate content does raise several concerns from a copyright standpoint. Having detailed rules is always helpful because it would then potentially shift liability to the user. Coupled with liability releases, the sponsor/administrator could shield itself from potential liability. Great article. I have a question. If my employer has used a photo of me from my Facebook without my knowledge to use on the wall of employees so new students can see who we are at work, Is that legal? Use of a copyrighted work by a third party always raised questions. It’s impossible to know if the specific use you indicate is or is not a permissible use without a more detailed examination of the facts. What is does establish is that it’s often better to ask permission prior to using a third-party photo of an employee. Your column and your answers to comments are very, very helpful. Here is my question – and I think it is a common one: I am a freelance writer and I frequently sell articles/posts along with photos to websites. No written contracts are involved and these websites do not have “terms and conditions” that apply to work purchased for their sites (they are smaller sites). My question is this: I have always understood that when I sell an article to a print publication and there is no contract stating what copyright is purchased, that FNASR (First North American Serial Rights) are all that are transferred – i.e. the right of the magazine to be the first publication to run the piece and the photos in it. Is this also true for online publications? When I sell an article/post with my own photos (and let’s assume here that I hold the entire copyright to those photos) to a website and there is no contract and no other “terms and conditions” that apply to the purchase of the article/photos, am I selling only the FNASR as would be the case with a print publication? This is an excellent question. FNSAR may be an industry-standard for magazine and newspaper work when obtained through a freelance writer, but it’s not a legal default. Without a written agreement, even if it’s just a few email exchanges, it’s possible the two parties have conflicting ideas of the rights granted/obtained. For websites, since they are likely visible around the globe (with some exceptions) it’s difficult to limit the publication to North America and a single publication in the same sense of a magazine single publication. The post may be published once, but can be shared quite widely. In addition, an old post/article can be brought back to life much more easily than a printed article and that raises the question as to whether the subsequent posting of the same article is or is not a second publication. Without clearly setting out what rights are being sold/obtained, the situation is ripe for misunderstanding. Hi Sara. This information is very useful. If you get a photo from the Internet of a celebrity for a blog or SM post, can you use it on your website or SM if you crop the celebrity’s face out? I know the lines are grey here. Cropping a photo does not necessarily change your rights to use the image under copyright law. Under the right of publicity laws (which are state laws) the celebrity may or may not be able to recover damages depending on whether the law would find you liable for violation of those rights. I wouldn’t say it’s a grey area, though, as the law is quite clear. Liability would be dependent on what exactly was cropped and how the image was then used, so it’s very fact specific. I’m very impressed with your blog. I am an investor in a restaurant franchise that has a music twist. Some of the stores have hand drawn murals of popular musicians and the meals are named after musical acts, some stores have even decorated the walls with locally drawn murarls like the popular Aerosmith lip and tongue that you’ve seen on their album covers. I’ve asked about it more than once and get vague answers as to why it is allowed. I was told once it was because it was hand drawn and another time because no one could prove those pictures or labels is what brought in the business. Any advice? Is it a time bomb? Any commercial use of a person’s likeness/name should be reviewed to ensure it complies with state laws. There are no federal laws regarding personality rights. For copyrighted images that are reproduced there could be copyright infringement issues. How the work was reproduced, hand drawn or otherwise, has no bearing on a claim of infringement because the rights granted under US copyright laws include the right to reproduction and is not limited to certain types. I want to be able to download images, then print and frame them to sell. If I purchase royalty free images can I do that? “Royalty-free” is a licensing method under which image rights are sold at a flat rate for almost all purposes. Many ‘royalty free’ images comes with terms and conditions so you would need to read those closely to determine if a commercial use is covered by the license you purchased. I hired a professional to take pictures of a private affair. He told me I could not share any of the other guests snapshots on my facebook page and I could not place any of his photos on FB without his watermark. Can he demand these requirement? Copyright belongs to the person to takes the photo unless there is a written agreement stating otherwise. Many professional photographers merely license their work to their clients for personal use and may place any number of restrictions on posting the images online. A couple of facts to add to my previous question re: posting a professional’s photo for private sharing on fb without any monetary gain or intent. The photographer is already paid, no written contract, and I wasn’t informed of his requirements as to sharing privately on fb and email etc. And reading other questions I noted your answer to created sculptures etc and who owns the copyrights to the sculpture photos. I create custom specialty cakes and created on especially for this event (not a wedding, but a graduation for a single person from a career institution. The grad is a family member and event was solely private. Do I have photo rights of the pictures of the cake and grad and cake.? Cake designs don’t usually gain copyright rights because no copyright rights are granted in useful objects. A cake being a food, likely it would not gain copyright protections. However, let’s assume it would. If so, your rights would be in the cake and not in photos of the cake; however photos of the cake could not be used to infringe your rights to reproduce, duplicate, etc. Without a contract the copyright remains with the creator of the work. In addition, without a contract it would be unclear what type of license was granted for use. I am a freelance copy editor, graphic/print media designer and photographer. I go to a lot of concerts and take photos. I designed some stickers using my own photography I took of the artist at the shows, added a few lines of song lyrics from the artist and designed a sticker. What are the laws on selling these online & on E-bay. The individuals in the photos you take likely have rights as to how their image/likeness is used. Rights of publicity are state laws so it’s a bit of a patchwork as to which state’s laws would be used. However, the person in the photo would likely use the state where the laws are the most stringent. Commercializing the image/likeness of a person could violate their rights to publicity. How does a photographer’s rights to their photos and sharing them on social media relate to one person in the photo claiming defamation in court? Is that part of copyright law, fair use, or something else? Copyright law is separate from defamation (libel/slander) laws. Simply being able to take a photo and thus obtaining copyright rights, does not prevent the subject of the photo or an individual in the photo from having other legal claims regarding their being in the photo or how the photo is used. It all depends on the license granted by the photographer. Unfortunately, it’s often unclear exactly what that license is which makes the situation more challenging. As for giving credit, if you did not take the photo credit should be given to the photographer to avoid any impression that you are taking credit for another person’s work. Our adult daughters live in different countries and have been estranged. One blocked the other from social media. The other has people sending her pictures of the neice that she has been cut off from and so she’s been posting them (because she misses the baby!) The Mom (oldest daughter) is threatening to sue the sister for posting pictures of the baby without her permission. Does she have a case on a personal level like that? Copyright infringement is a strict liability offense. If a copyrighted work is used without permission in a manner where the copyright-holder has exclusive then the copyright holder can pursue an infringement suit. Copyright infringement cases are very expensive and without a timely registration for the work the damages available are those provided under common law which are “actual damages” or “lost profits”. Unfortunately, the cost to pursue a copyright lawsuit is not always covered by an award of damages. And under common law, rarely are attorney’s fees ordered for the prevailing party. I have two questions regarding the following. In the past and recently I have seen dating website profiles with pictures or dating website conversations reposted on Instagram or some sort of mocking type website or article. (A) Can a website or article whose sole purpose is to mock or adledgedly comment on the “”worst dating profiles” claim “fair use” and refuse to remove the copied profile with a private individual’s photographs and bio/introduction? (B) Can copyright be used as the reason to force social media sites/apps to take down copied dating profiles or private conversations that were posted by one of their users? Fair Use can be applied to parody and legitimate criticism, mocking I’m not so sure. There is not Fair Use defense for “mocking” so all the facts and circumstances would have to be examined and then a court may not necessarily agree. Many of these sites to mock or post questionable criticsm know that people don’t have the time or money to assert their legal rights and so they don’t really care. Dating profiles and private conversations may not necessarily be subject to copyright and thus not covered by the DMCA. They may be covered by other laws but without the streamlined takedown of the DMCA it can be challenging, costly, and time consuming to remove. I know you mentioned that you’re not going to talk about brand photos but that is exactly what I have a question about. If I do a roundup post on baby nursery decor items from various large retail stores (Target, Pottery Barn Kids, etc), am I allowed to show the photo of the item from the retail website on my blog & Pinterest as long as I provide a link for how the reader can purchase the item? I’m just starting my blog and want to make sure I don’t start doing something that is ultimately wrong in the long run. Thank you! Are you allowed? Maybe. Many brands don’t mind people using their product images while others may mind. In addition, if you get the photo of the product from a site other than the brand then you may not be using a photo the brand owns but rather one belonging to that third party. Depending on your exact use, you may want to explore if perhaps that use is permitted under the doctrine of Fair Use. If a website uses a mix of stock and “real” photography to represent its products should a disclosure be made that some images are representative only i.e. stock? Legal issues related to the advertising and marketing of food products are generally covered under the FTC Act. Section 12 of the FTC Act deals with the false advertising of “food, drugs, devices or cosmetics,” and provides that it is unlawful to disseminate of any false advertisement in connection with the purchase of food, drugs, etc. “False advertisement” is defined as any advertisement, other than labeling, that is misleading in a material respect. When evaluating materials for false advertising, the Federal Trade Commission will consider not only representations made or suggested by statement, word, design, device, sound, or any combination of those, but also the extent to which the advertisement fails to reveal material facts about the product or its performance. If food is represented as a company’s actual product, and that the the product they are promoting the FTC could investigate if the advertising is deceptive. A burger joint that uses stock photos for burgers, especially if those photos are not representative of their actual product, could face regulatory scrutiny. A burger joint that uses their own photos for burgers but has stock photos of a fruit plate may not face regulatory scrutiny, especially if they don’t sell fruit plates. Does providing a disclosure relieve them of potential liability? Possibly. By making a disclosure that a food is a representation and not the actual product it’s possible to argue there can be no deception. Mixing actual photos with stock photos could raise questions, especially if a consumer is unable to discern the difference. This is quite a complex matter. As I often tell people, if you feel your rights as a consumer are violated you may wish to speak with an attorney about potential legal action or head to the FTC website and file a complaint. If a local business is involved, as opposed to one that crosses state lines, you may wish to contact your state attorney general. If the issue is a product labeling concern, that is governed by the FDA and though the evaluation is the same, there are different standards set for product labeling and a different agency for oversight. Amazing Post, very informative, but i have a question that i want your word and opinion on because it is genuinely bothering me. I was able to get two of my copyrighted post down by Instagram on another account, i am aware that they then send the person a notice including the unique report #, Right owners name, email address provided, desc. of content removed, and the copyrighted work.. it later on mentions that that the opposite party can then contact Instagram directly and possible receive additional information, passing through the report # and removed content. Would Instagram be able to reveal the home address and phone number I submitted to the infringer? They never put a disclaimer like they did for the email (saying that it will be provided) I am so worried and I don’t want that specific information leaked to a total stranger… Do you think that that information stays confidential? Judging by the fact that it was required to fill in to take any legal action apparently… I literally have been looking for articles and answers about this specific situation for about a week and literally. nothing. to. be. found. All information provided in a DMCA takedown or counter notice can be disclosed to the other party. The receiving platform does not need to provide a disclaimer to the filer because disclosure of a DMCA takedown or counter notice is allowed by law. Thank you so much! You are truly a saint for continuing to provide your guidance to readers so many years after writing this post. This is a great question, Ryan, because many people are inspired by another person’s work. The protection for derivative works is very broad and it’s unclear if one particular type of ‘inspired’ work is a derivative work and thus protected by copyright or if it is transformative and not. Even courts are inconsistent in the application of the analysis of derivative vs. transformative so it’s not like I can tell you that there is a general rule. There are situations where I thought something was clearly derivative but a court found it transformative and thus non-infringing. You may want to look at the notion of ‘appropriation art’ to better understand how complex this can be. I found an image on the Internet that I’d like to use for my book. The image has been used by several journals, but I cannot find who actually owns the rights to the image or if it’s in the public domain. If the image is being used without challenge by the owner, does that not weaken the owner’s exclusive right? If the owner is not policing their copyright, yes that does potentially weaken the protection they will be provided. However, it’s really not that simple because it’s unclear what the copyright holder may be doing to enforce their rights. Before using any image it is suggested that you be aware of its provenance because otherwise the risks are unknown. Traditional publishers will push all liability to you for providing the image, or may not publish the image without a clear form of authorization. If you are self-publishing you will carry all the risk.